The Trump administration released its much-anticipated tax-reform proposal on Wednesday, April 26, entitled “2017 Tax Reform for Economic Growth and American Jobs.” The administration touts the proposal as the biggest individual and business tax cut in American history. Nevertheless, the one-page document, with a total of 19 bullet points, leaves much to be defined on achieving the reform. But since the proposal is rather short, you can read a copy of it here. Given the lack of details on the implementation of the reforms, experts are finding it difficult to assess their economic impacts. However, some general statements can be made. One general sentiment around the individual tax reform is that it majorly benefits wealthier people, as it both brings down the highest bracket and eliminates the estate tax and the alternative minimum tax. However, while lower federal taxes bode well for upper-middle income earners in California, taxpayers in the state stand to lose from the elimination of the federal deduction for state and local income taxes. It is estimated to increase the average tax bill by about $3,300. 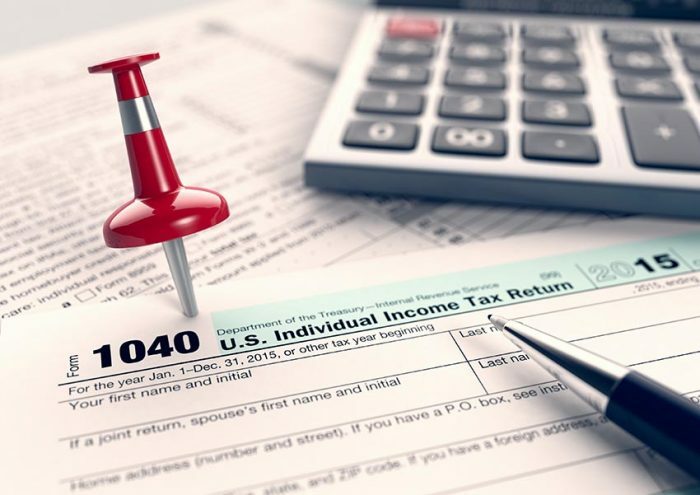 The proposed reduction of individual tax rates and repeal of the alternative minimum tax would offset some of the increase, though high-income households subject to the alternative tax are already ineligible for the state tax deduction. Since the deduction is an itemized one, a filer would have to itemize in order to benefit from it. With 38 percent of the deduction going to California, New York, and New Jersey, chances are that it would impact many Californians. Also, more than 90 percent of filers with incomes higher than $200,000 claim the deduction, per the Tax Policy Center. On the other hand, doubling the standard deduction may incentivize some taxpayers to go the simpler route and take the standard deduction instead of itemize, especially if state and local income tax deductions are eliminated and the total itemized items do not exceed the $24,000 standard deduction for couples. Still, the current proposal does not have enough details to fully calculate on who would benefit and who would lose. In terms of tax changes that impact existing and potential homeowners, leaving the mortgage-interest deduction untouched is welcome news. Nevertheless, doubling the standard deduction to $24,000 for couples may reduce the incentive otherwise gained by deducting mortgage interest. Since mortgage-interest deduction is one of the main reasons that average Americans itemize their taxes, the deduction would have to exceed $24,000 in order to be more advantageous than the standard deduction. In other words, households with mortgages of $600,000 and higher, at a 4 percent interest rate, would benefit in the first two years of obtaining their mortgages by itemizing their deductions. With the Bay Area median home price at about $815,000, new homebuyers still benefit from itemizing their taxes. However, it is hard to tell yet how that would play out in the rest of California and among different types of tax filers. While lowering taxes is expected to boost consumer spending, the proposal didn’t include income ranges for the three proposed tax brackets, making it difficult to estimate the impact on after-tax income. Some research has also shown that consumers are more likely to put their additional paycheck into their savings instead of spending it. In addition, while lowering business taxes to 15 percent seems attractive in light of the high U.S. business tax environment, there are concerns that cutting the rate would encourage business owners to reduce their own wages and pay themselves in profits instead, thereby lowering their tax bracket from 35 percent to 15 percent. Furthermore, while the idea of lower business rates assumes that firms would move production and revenues to the U.S., it is not clear that businesses would in fact invest that money as opposed to buying back their equity. The same goes for the one-time, foreign-income repatriation offer, which incentivizes companies to bring cash ashore but doesn’t stipulate how it is then spent. Lastly, unless the administration provides details, the current proposal suggests the ballooning of the federal budget deficit, which will not easily pass due to Republicans who are concerned with balancing the budget. And support from Democrats is unlikely given the proposal’s affinity toward businesses and wealthy individuals. Either way, current law does not permit an increase in the budget deficit beyond a 10-year window, meaning that major provisions of the proposal would have to be temporary. Based on estimates by several tax think tanks, the plan would cost around $5.5 trillion to $7 trillion over 10 years. The administration is banking on resulting economic growth and closing of loopholes and deductions to pay for the tax cuts. Some economists, however, do not believe that tax cuts or infrastructure spending would do much to spur further growth at this point in the economic cycle. Previous PostPrevious Bay Area Home Sellers Net Biggest First-Quarter Gains in the U.S.